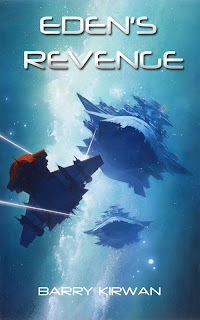 I got my last (eighth) critique of Eden's Revenge a couple of days ago. Three of them were by professional writers/editors (2 are well-published Scifi writers) and five were by other less-celebrated writers. The first two back in November both asked for some major changes, and it led to a totally new prologue and several chapter re-writes. Both these reviewers (who had not read the first two books) wanted more explanatory text, including a 'historical timeline' and a cast of characters. At the end of January I had a new draft and sent it out to six more reviewers for critique. Five of them loved it, including the last one I received. One didn't. But, trying to be a good writer, I listened to all of them, not just the ones that did my ego good. The one who didn't like it complained of over-explanatory sections. As you might imagine, I sighed quite a lot when reading his criticisms, since much of what he criticized was on account of the first two reviewers... So, I now have to cut some of the extra words I put in between November and January. Ho hum... The good news (with all eight reviewers) was that they all liked the prose, i.e. the writing, especially the second-waver who wasn't fond of the book - he nonetheless commented that there was nothing wrong with the writing, including the dialogue and characterization and scenes in general. He had commented extensively on the writing aspects of the first two book drafts, so this was nice to hear. The other five second-wave reviewers all (independently) said the same thing - that Eden's Revenge is (by far) the best of the three books. I should point out that these five reviewers had all read books 1 & 2 (The Eden Paradox and Eden's Trial), though two of them in particular had not liked the second book nearly as much as the first. I now have a lot of small comments and changes to do based on all these reviews, which hopefully won't take too long. "You've written a really good book. I couldn't wait to keep dipping back into it. Brilliant plotting, sizzling action, the tension and pull of the story keeps it steamrollering along."